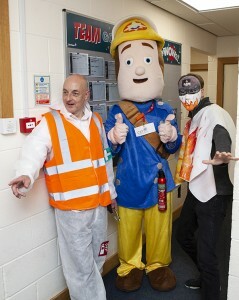 On Monday 15th April the team at Fire Depot took part in a ‘Design-A-Piece-Of-Clothing day’. 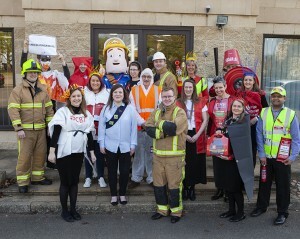 Each member of the team had to design and wear an item of clothing relating to fire safety throughout the day in support of The Children’s Burns Trust. 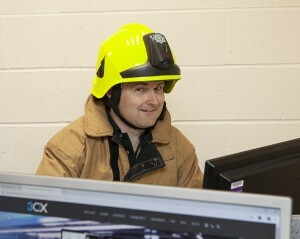 The Children’s Burns Trust receives no government funding and are only able to continue the work they do as a result of fundraising efforts. They are a national charity dedicated to providing rehabilitation support for burned and scald injured children and their families, as well as prevention and awareness campaigns for which there is little or no national funding. Over 5,000 children under the age of 5 are so badly burnt each year that they have to be admitted to a specialist burns service- more than 14 toddlers every single day. This figure only relates to the more serious burns and scalds- it does not include the thousands seen by A&E departments daily.